When school is out there’s nothing better than a quick bite to help hold everyone in the family over until the evening. But how often have you gone to get dinner ready only to find your pantry has been emptied at the hands of a few hungry students? Instead of having your crew of kids raid the refrigerator, treat yourself to these tasty local sweet treats. These desserts are the perfect size to help fuel homework time without spoiling supper. Straccaitella is one of over 20 flavors of creamy gelato offered at this Kings Highway hot spot, an Italian version of chocolate chip ice cream served with a crispy waffle cone wafer. 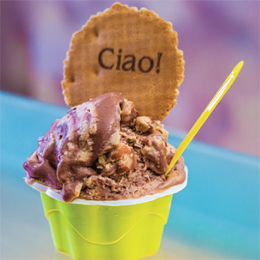 If gelato isn’t your thing you can also pick from sorbetto and handmade pastries and desserts that change regularly. Cake Boss Buddy Valastro’s sole South Jersey location has become famous for these flaky pastries, shaped like—you guessed it—a lobster tail and stuffed full of house made cream, then dusted with a hearty helping of powdered sugar. Premiering to crowds over Labor Day, this fun new spot serves up hand-rolled Thai ice cream, which takes your favorite preservative-free flavor and blends it with toppings—in this case, chocolate ice cream with mint cookies—on an ice cold surface before scraping it into long, thin rolls of ice cream. Consider this a snack with a show. Cake Stand’s bar cookies take their rich and chewy cookies to the next level as a custom-made snack bar. We think their peanut butter and jelly variety is the perfect homage to after school eats, layering creamy peanut butter and jelly then topping it with a peanut butter-y crumble topping. Alaura takes their house-made cookies and serves them with your choice of toppings, like Nutella or hot fudge, then finishes them off with two big scoops of ice cream and whipped cream. Sure, it’s not your traditional handheld ice cream sandwich, but with plenty of ice cream and the addition of a warm and rich cookie, you won’t find us complaining. This cute little creation is served up in individual sizes, so you can pick and choose then share with friends. Banana cream pie plays it close to the classic dish that you know and love, but you can get more creative with individual coconut snowball, deep dish apple cake and triple chocolate mousse cake. The Pie Lady burst onto the scene a few years ago with her hard-to-resist pies by the slice, and has since turned her tiny bakery into a local hangout. Since we’re from the Garden State we always suggest grabbing whatever is seasonal, like cherry almond or blueberry, but you also can’t go wrong with one of their massive scones or cookies. 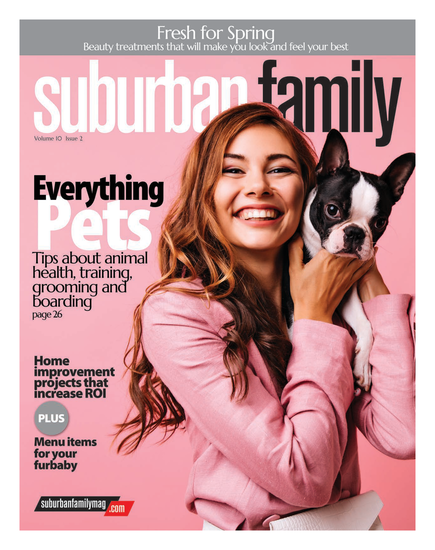 Published (and copyrighted) in Suburban Family Magazine, Volume 7, Issue 6 (August, 2016).